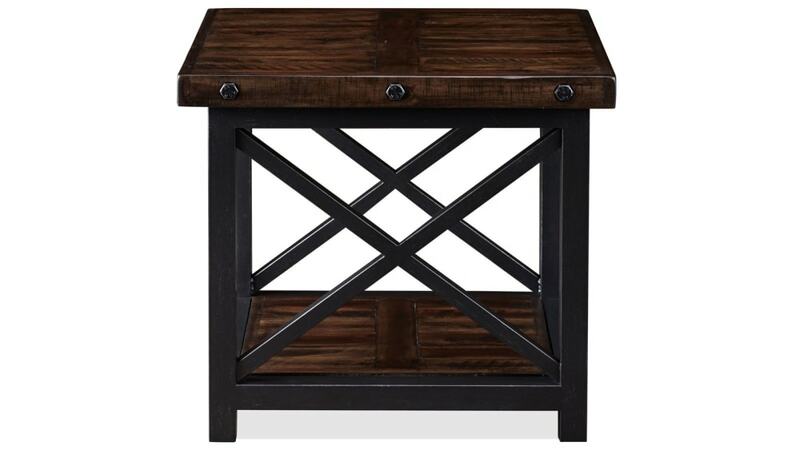 Combining rustic elegance with Old World grandeur, this end table is the perfect accent piece for any living space. 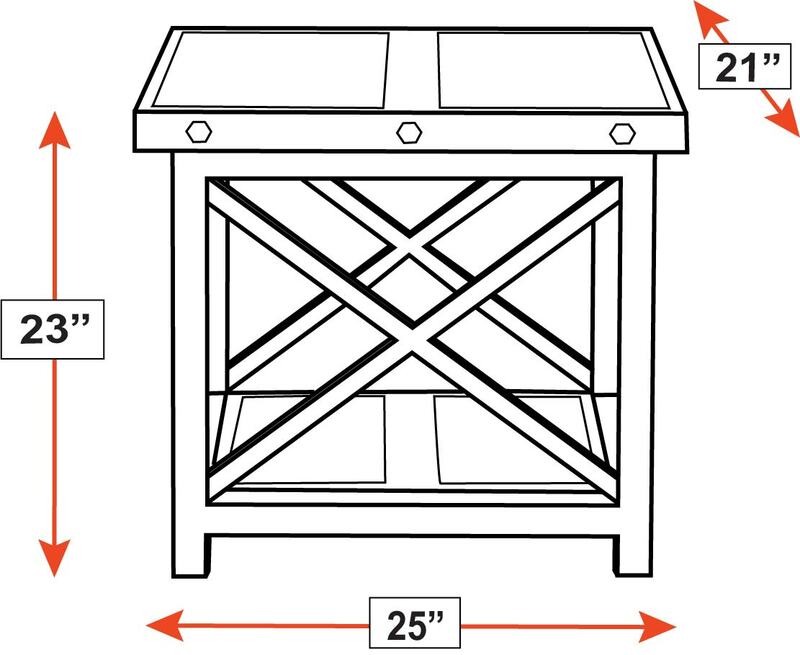 With Gallery Furniture's famous, same-day delivery service, you can start upgrading your home TODAY! 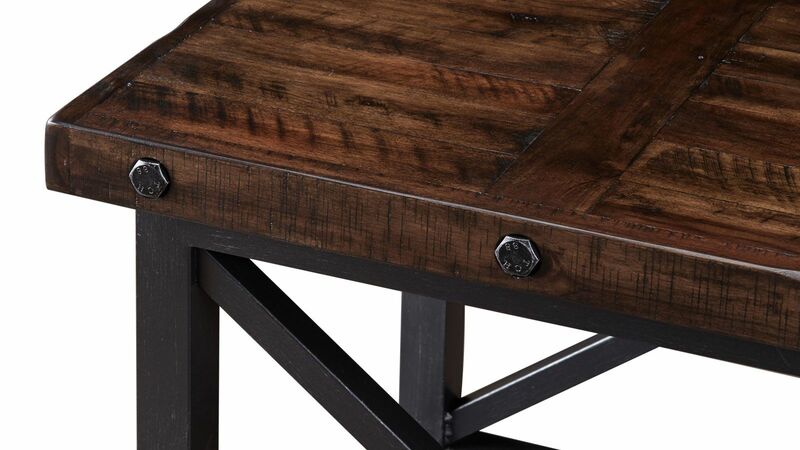 This table's design is influenced by Old World elegance. 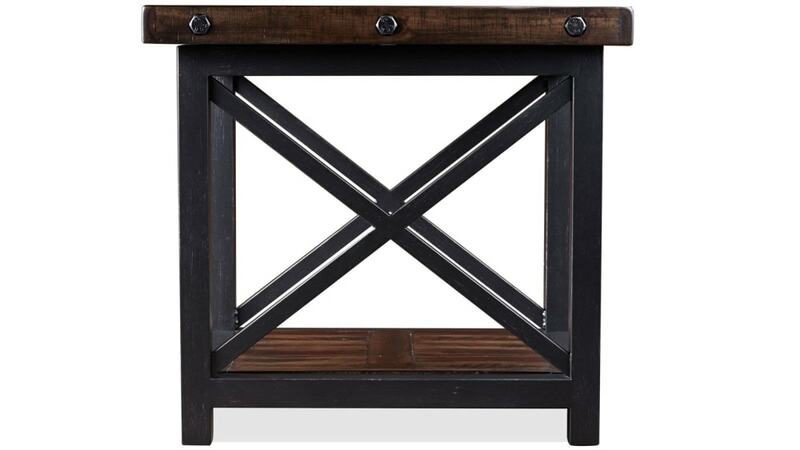 A substantial black metal base supports a shelf and a beautiful rustic top, while matching black metal nailheads add eye appeal.